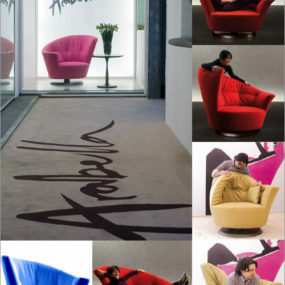 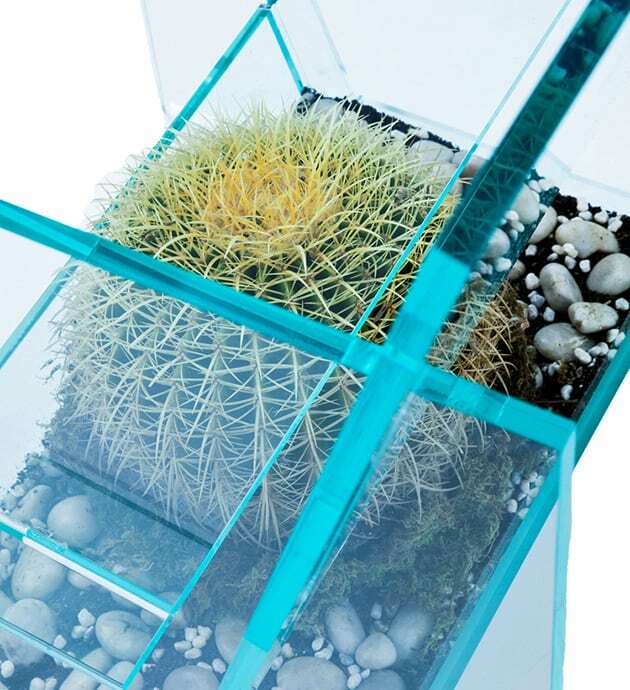 While Pointillism is the technique of painting with tiny dots of colour to form an image, in the case the Cactus Chair, designed by Vedat Ulgen and Deger Cengiz, pointillism is a tongue in cheek reference to the many spines of the Barrel Cactus positioned below the oh so transparent seat. 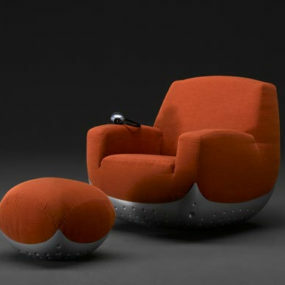 While I may have redefined pointillism, Vedat redefined the common chair into an avant garde seat / planter. 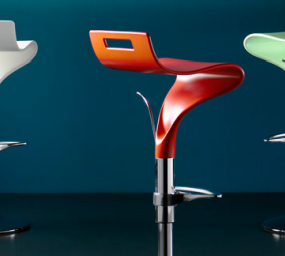 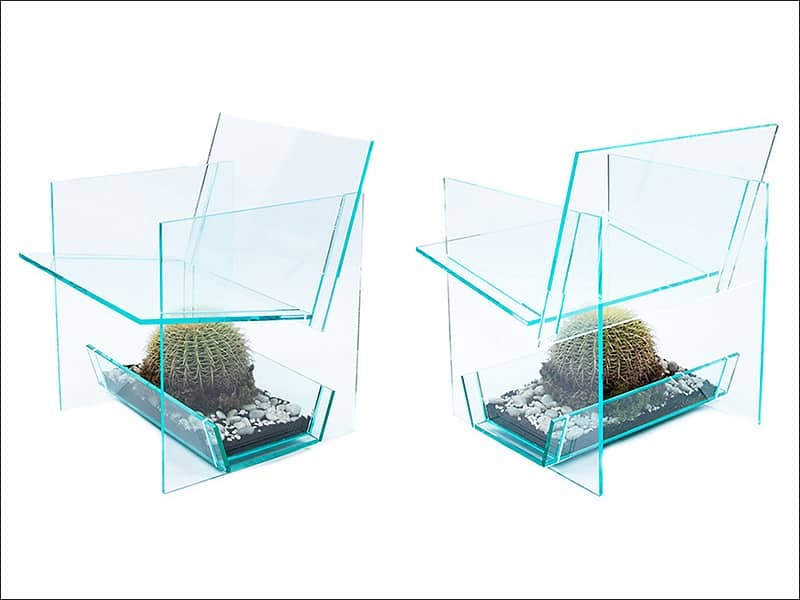 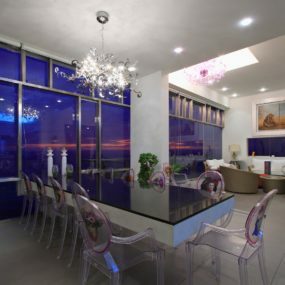 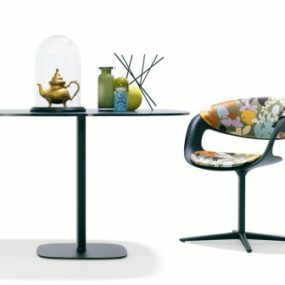 Made from cast acrylic panels, the Cactus Chair is as much a geometric design as it is an organic one. 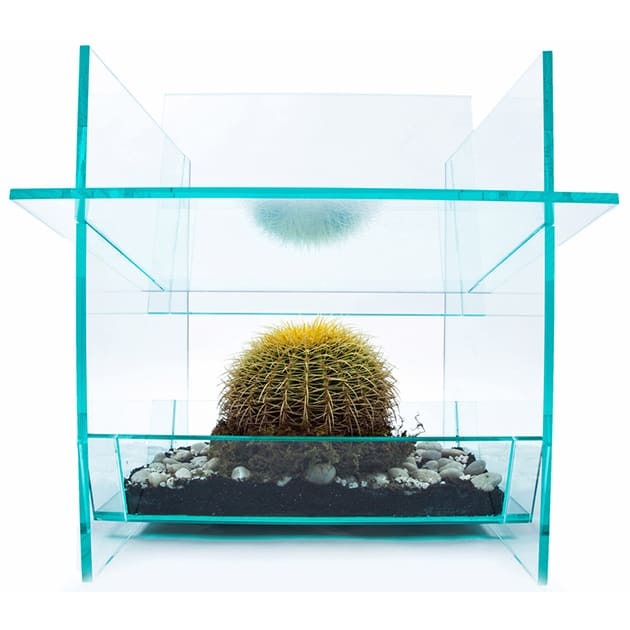 The geometric shapes give the dual-purpose design its rigid structure so there is no fear of ever landing on the prickly cactus – thank goodness. 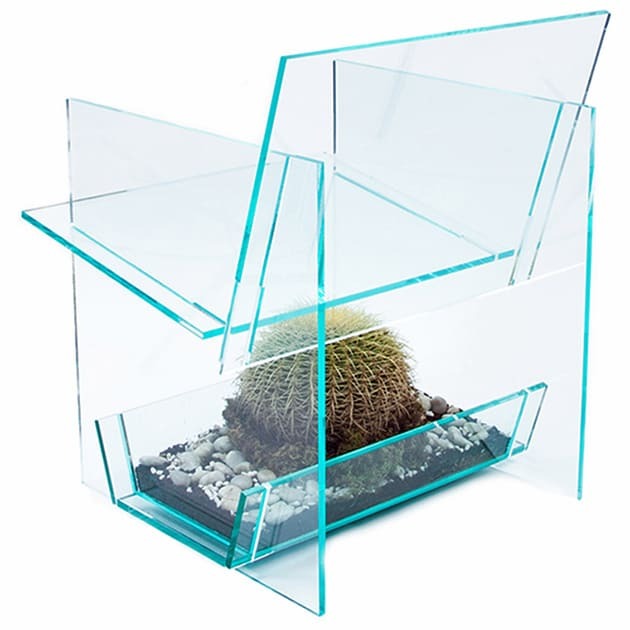 The Cactus Chair was designed specifically for a 10″ Barrel Cactus. 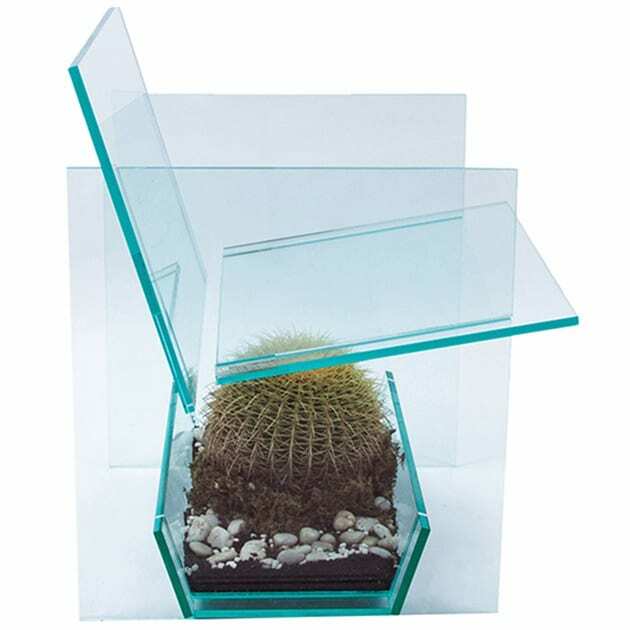 The idea of sitting on top of a cactus may keep some on the edge of their seats but as THISKEXIK demonstrates, there really is no need to worry. 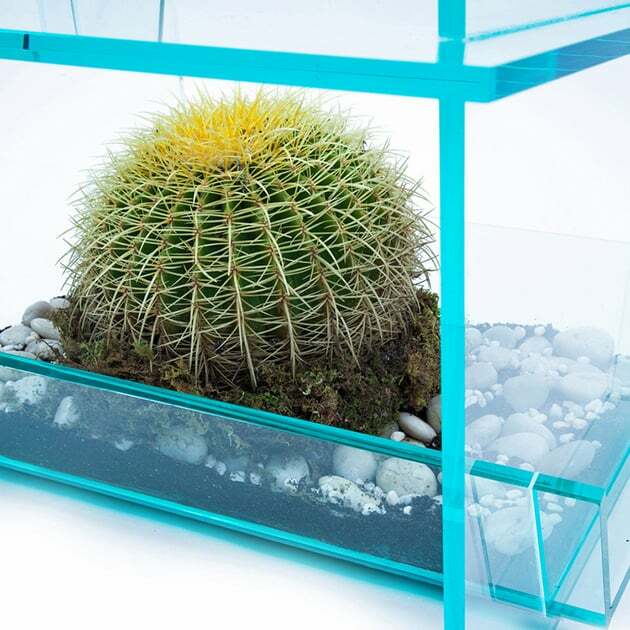 If a prickly plant is not your thing, the Barrel Cactus can easily be replaced with something less edgy but I kind of love the cactus concept. 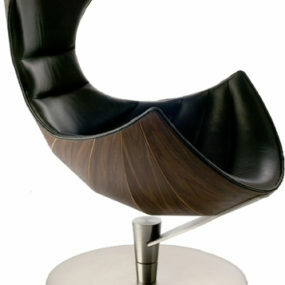 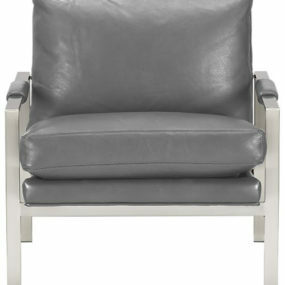 The size of the chair is 25″Wx25″Dx29.5″H. 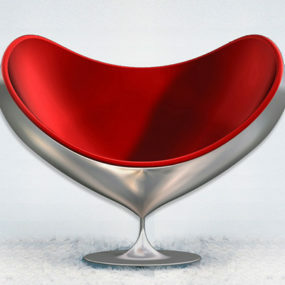 All you have to do to keep the chair clean is wipe it clean with a damp cloth. 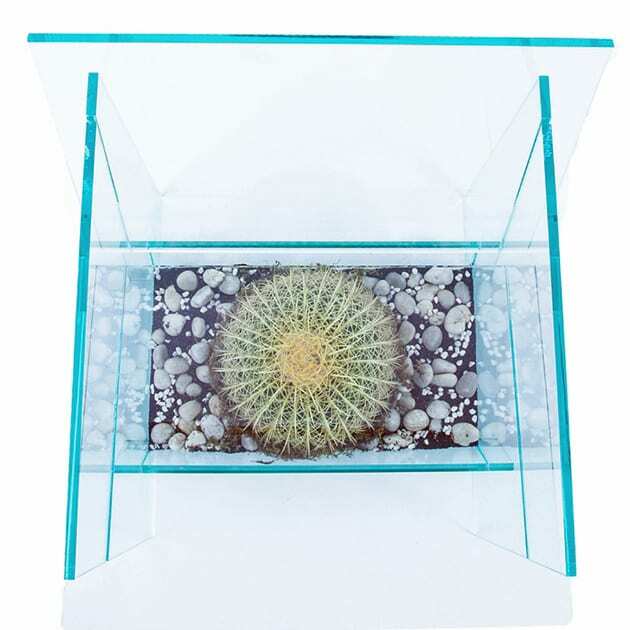 The very symmetrical Barrel Cactus is low maintenance so even if you don’t have a green thumb it should be easy to look after.